Have you just been invited to a wedding? As you already know, it is customary that you show up with a wedding gift. When shopping for one, make sure that you take the extra effort to choose something that will be meaningful to the couple. Make your gift stand out so that it does not become yet another item that gets hoarded away in the storage room. There are certain gifts that seem to be a favorite among wedding attendees. This leaves most newlyweds with extra oven toasters that are either destined to gather dust in the storage room or to find their way into another newlywed's home, as the recipients are likely to recycle them as yet another wedding present. So do stay away from oven toasters, coffee makers, or any such wedding gifts that are likely to meet duplicates. Don't get the wrong idea, though. There is nothing wrong with giving the couple practical presents. As a matter of fact, the couple would appreciate how they needn't have to shop for their basic household amenities. Just make sure that the items you choose do have a unique and personal touch so that they are favored by the couple, in case they do find duplicates. 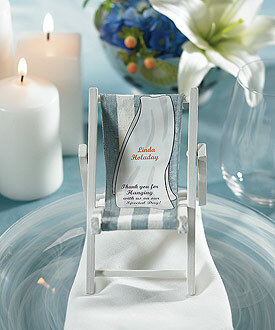 The best thing to do is to personalize the item so that it becomes well-appreciated by the newlyweds. Everybody loves personalized items and a little engraving here and there should do the trick. You can have the couple's names and the date of their wedding engraved in your wedding gift. Now your present will definitely get more leverage than those other oven toasters. Or you can go out and out unique and get them novelty items instead. Now, what would be better than a piece of artwork? This is the best way to find a permanent position in the newlywed's home. You will find valuable pieces in many art galleries. Or you can charter an artist to do a portrait of the couple. You can also go techie and digitize the photographs instead. Gift baskets are a popular choice for wedding presents. This is a great way of showing the couple how much you know them so well. Simply fill the basket with all the couple's favorite things. You can buy the groom's favorite wine and the bride's favorite bath salts and many other such things. Why not prepare a scrapbook that stores some of the couple's cherished memories for your wedding gift? You can ask your other friends to join in the fun. Have them donate some pictures, or simply write in some comments and greetings. You can also leave the other half of the scrapbook blank for the newlyweds to place in more special memories, especially those that are yet to come. Or you can go techie again and digitize those special memories. A video-scrapbook will be a cherished treasure for the couple. You can add in spiels from the couple's closest friends and relatives. You can even surprise the couple by showing the video at the reception. Everybody is sure to have fun with this. Or you can give the couple the valued gift of wisdom. Give them books that will guide them through their married life. You can choose books that teach the basics about parenting or managing a household. And you can buy books that help couples maintain the passion and learn to live with each other through long years of fruitful and meaningful lives spent together. Give the couple a gift that they 'both' would love. And it would be great if the present would encourage the newlyweds to spend time together. Try and recall what it is that the couple loves to do when spending time with each other. It could be a favorite sport or a hobby. Maybe the ideal gift would be badminton rackets or a recipe book that will encourage them to stay home and spend some quality time preparing their favorite cuisine. Or you can give the couple gift certificates by which they can go and win an intimate getaway. You may choose a gift certificate to a hotel or a resort for some weekend getaway. Or if you have access to the couple's honeymoon plans, you can simply upgrade their reservations to a first-class flight or to premium hotel reservations. 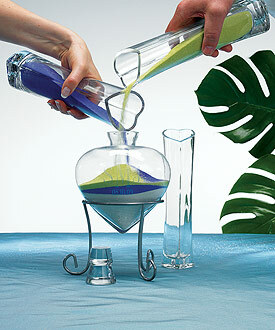 The newlyweds would surely get the surprise of a lifetime and would remember your wedding gift forever. When choosing wedding gifts, simply make sure that your efforts are from the heart and everything else will follow.